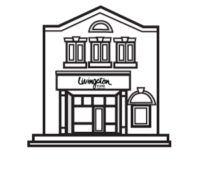 History | Livingston Furs Ltd.
Alan Livingston represents the fourth generation family member in the fur trade. His grandfather, Albert Livingston travelled out west in the early 1900’s collecting furs from rural and native trappers. He established “British Raw Fur Co.”—”Our Motto-Fair Play”– in Toronto, in about 1914, and worked with his father shipping furs to England. It became the largest fur exporter in the Commonwealth. 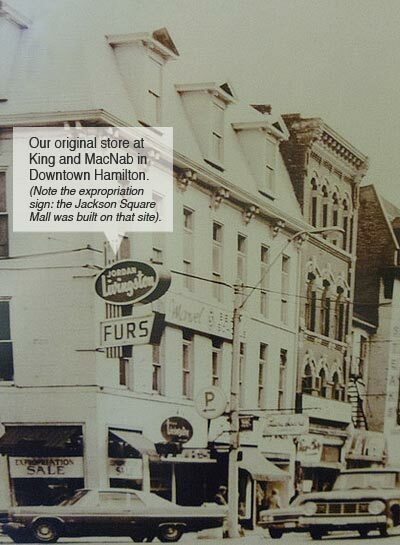 Alan’s maternal grandfather, Jack, was a fur manufacturer and designer in Toronto from the ’20’s to the 50’s. In 1948, when one of his retail clients, Warner W. Howell of Hamilton was retiring, he bought the business, and soon sent in his son-in-law, Jordan Livingston, to manage it. Jordan built the business up into a very well-known and respected fashion outlet. In the ’90’s, Jordan’s son Alan took it over and with his wife, Yael Greenberg Livingston, moved the store to iour Brant St. location, downtown Burlington, in 1999, where it thrived from 1999 until 2013 (our 100th Anniversary Year, was in 2010 ! ). Livingston Furs’ reputation, and obsession with excellence and quality, has continued into the 4th generation with Alan and Yael, where you will receive the finest service and best attention to detail, from the smallest job, to the finest custom order made from the best quality mink pelts available in the world. Come by to see and feel our new Fashion Collection of Furs, Shearlings, Fine Outerwear and Accessories for Fall, Winter, and even Spring. We enjoy being consultants about your new creative requests, or to help you with what to do with that older fur. Appointments at any time, including beyond normal hours, can be arranged.